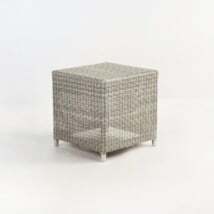 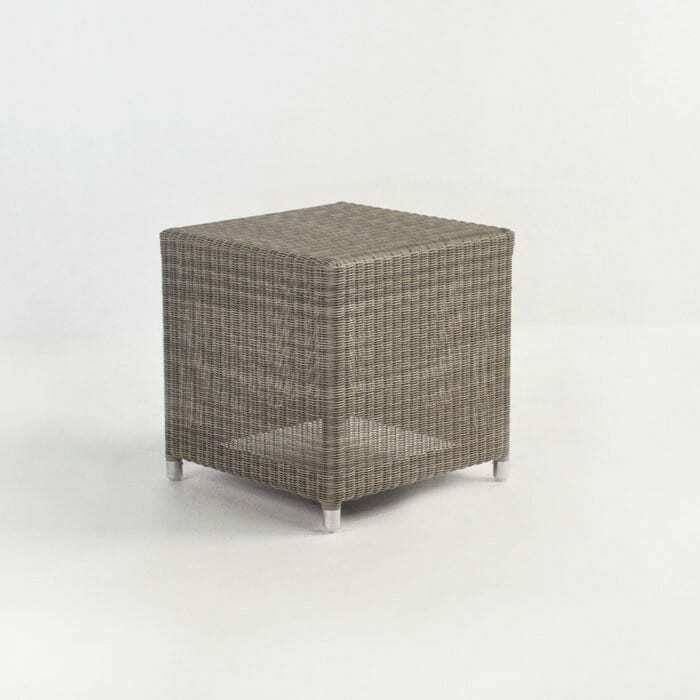 Our Lilli Box Outdoor Wicker side table is a fantastic and easy to move table that will compliment your outdoor furniture. Use it for outdoor accessories, drinks and appetizers. Small tables are a great addition to any outdoor or indoor seating area. 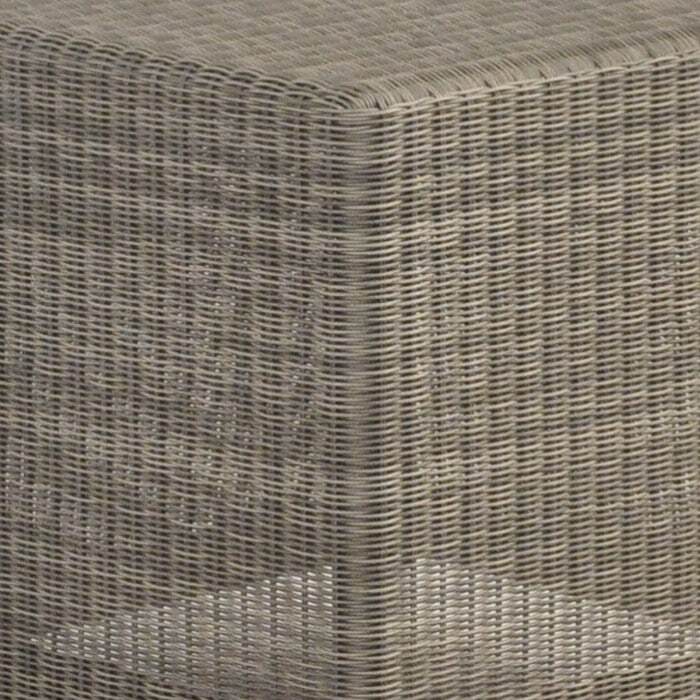 The box shape is a simple design with wicker one all 4 sides making this table look great from the front or back. 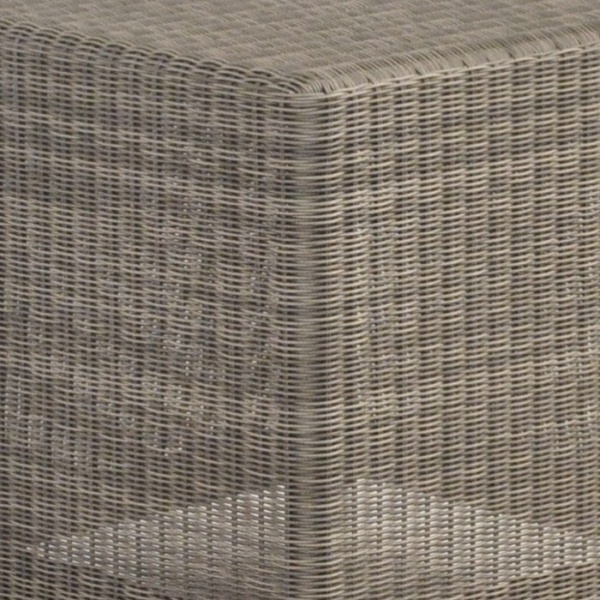 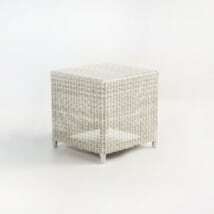 This side table is made with high quality Viro® wicker and a powder-coated frame. 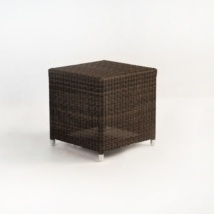 The Kubu color is light brown wicker and will match with teak or wicker furniture. 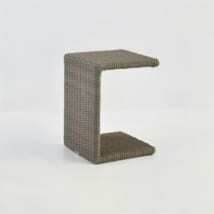 Light, functional and quick to clean, this accent table is an easy choice.